Step 1. Take Images of the area you would like to renovate. Step 2. Draw up a floor plan/ walls of the room/s. Ensure to leave enough room in the floor plan to note down measurements. Step 3. Measure from the floor to the ceiling. Step 4. Measure the distance between walls from corners to a door or window opening, also make record of anything projecting into the room such as Radiators, Pipes, Ventilation, Special angles & any other major architectural feautures. Step 5. Measure the size of doors & windows, the height and distance from the floor, ceiling & wall edges. If you plan to have a cabinet under a window the preferred minimum distance between the window frame & the floor should be 105cm/ 1005mm. Step 6. Note down the location of existing power-points, light switches, water & gas connections. Remember these can be moved to suit your new project outlay. Step 7. Do research on colour palettes that you may like & Designs. Step 8. Research Appliances eg. Oven, Cooktop, Stove, Range-hood & Dishwasher. Its important you note down the Name & Model numbers of appliances as this will need to be considered when planning out your design. We can assist with this also. 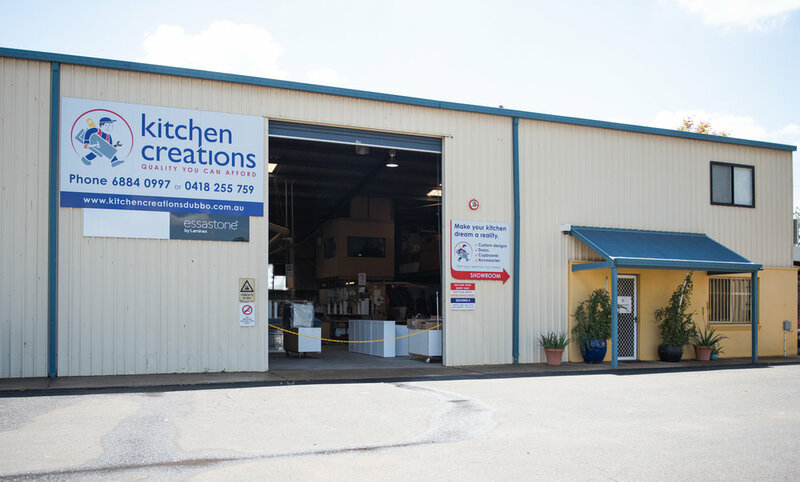 You can choose to email your information & someone will be in contact to make an appointment with you or you can drop in to our office at Lot 83 Jenmark Place, Dubbo.